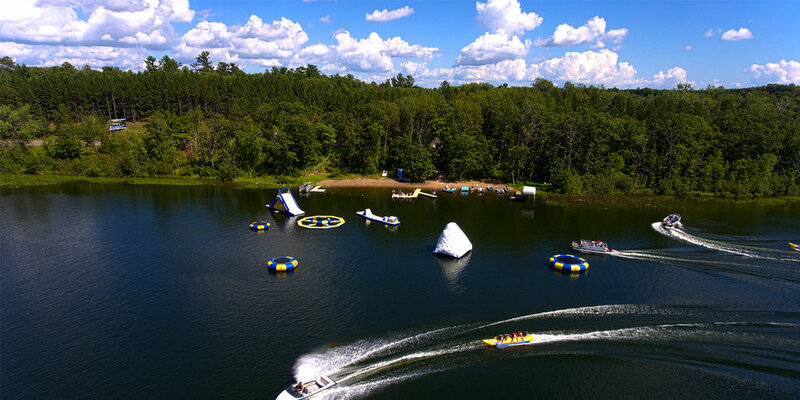 WELCOME TO HEARTLAND HOCKEY CAMP, Deerwood, Minnesota - in the heart of the Cuyuna Lakes Area. We invite you to join us in one of the most wonderful & memorable hockey places in the world. Nestled in the heart of Minnesota’s vacationland, the Heartland Hockey Camp is a place for you to “do it all” or simply “do nothing”. 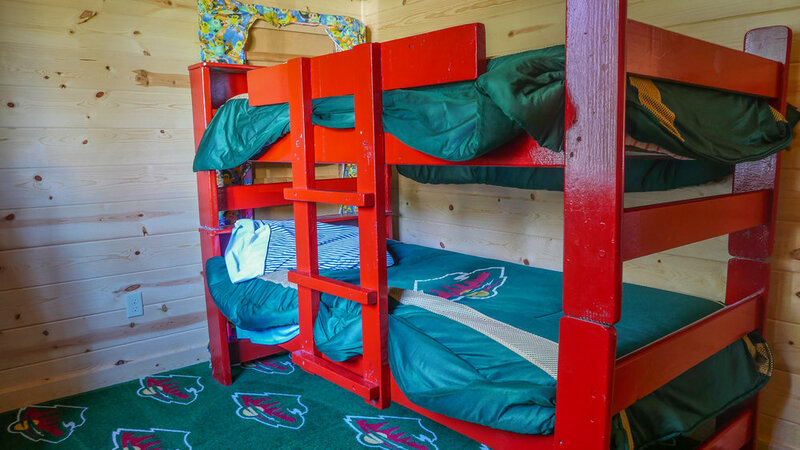 Heartland Hockey Camp is a secluded 160 acre hockey camp/resort with newly constructed, rustic cabins & condos, built adjacent to our privately owned ice arena. 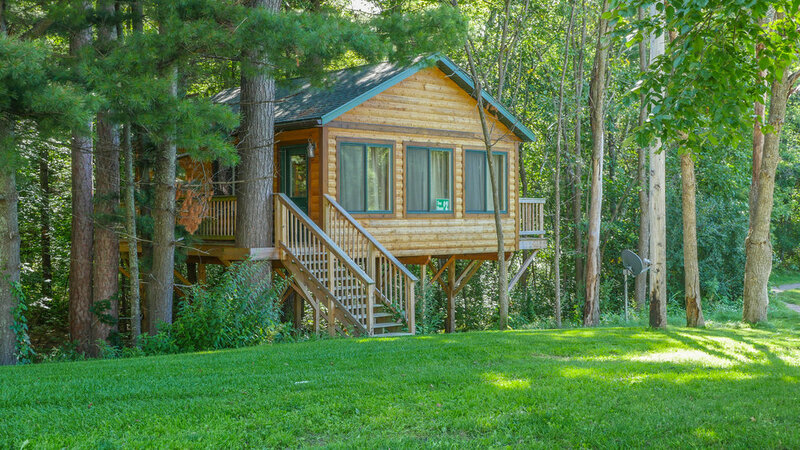 Boat, fish, kayak, canoe, water ski and swim on scenic Portage Lake, as our camp property includes 7,800 feet of private lakeshore property. Within a 30 mile radius of our campus, you will find hundreds of lakes, numerous state parks, an abundance of championship golf courses and fantastic dining options. If you like mountain biking, come take a tour around the Cuyuna Range.... we have beautiful & challenging biking trails just 7 miles from our campus. Take time & reward yourself with a memorable hockey holiday which will include a fantastic wide variety of fun-filled waterfront activities & world class hockey instruction. 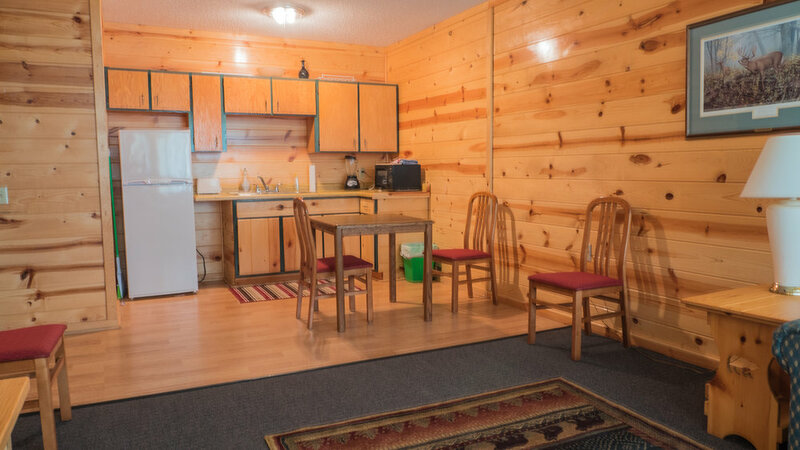 The cost of this plan is $175.00 per night, these units include kitchen counter/sink, private bathroom, cable tv, wifi, air conditioning & living room/sleeping area. These units are 14 feet by 20 feet in dimension and will easily sleep 2-4 people. There is no additional charge on per person basis. The cost of this plan is $250.00 per night & these units include full kitchens, eating area, large living room, private bathroom, private bedroom, cable tv, wifi & air conditioning. These units are 18 feet by 30 feet in dimension and will easily sleep 4-6 people. There is no additional charge on a per person basis. 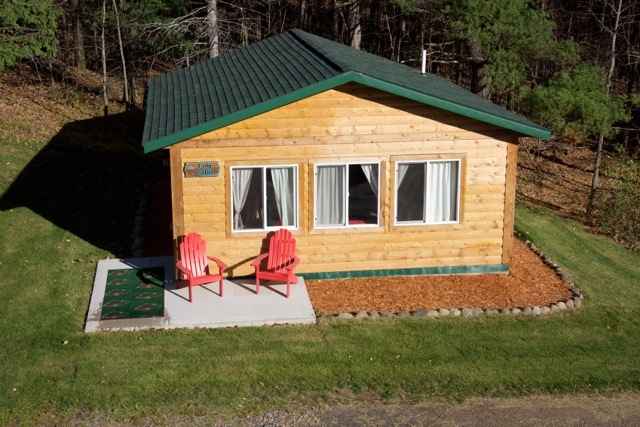 The cost of this plan is $275.00 per night & this unit includes a full kitchen, eating area, living room, private bathroom, private bedroom, cable tv, wifi & air conditioning. 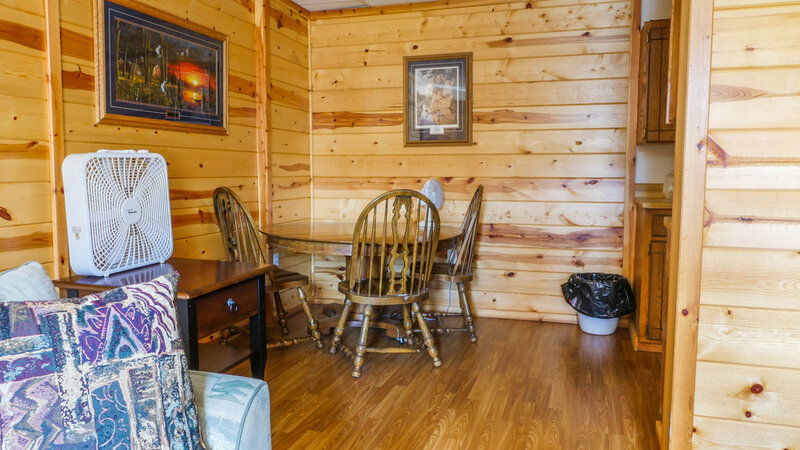 The cost of this plan is $275.00 per night & this unit includes a full kitchen, living room, nook with a futon, private bathroom, private bedroom, cable tv, wifi & air conditioning. This unit is 14 feet by 52 feet in dimension and will easily sleep 4-6 people. There is no additional charge on a per person basis. 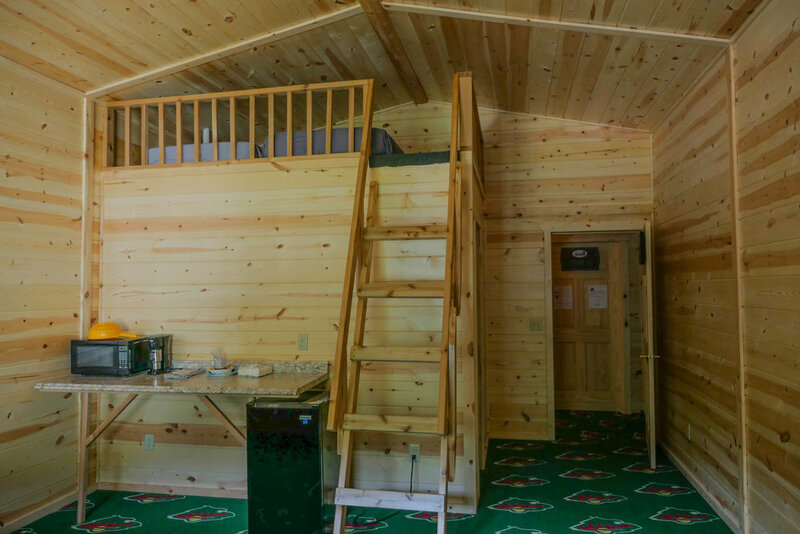 The cost of this plan is $275.00 per night and this unit includes a kitchen counter & sink, eating area, sleeping area, large living room, private bathroom, cable tv, wifi & air conditioning. These units are 20 feet by 26 feet in dimension and will easily sleep 4-6 people. There is no additional charge on a per person basis. 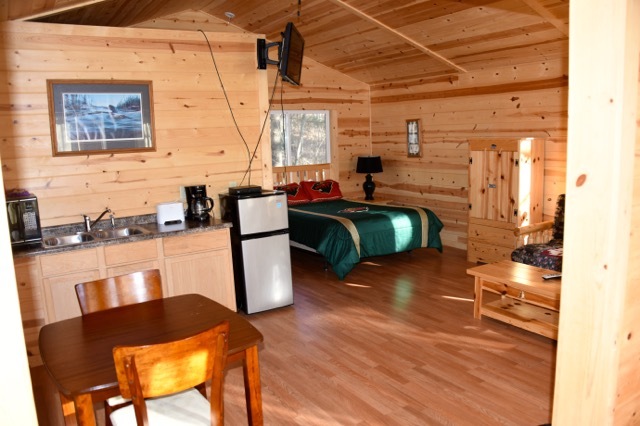 The cost of this plan is $300.00 per night & these units include a full kitchen, eating area, large living room, private bathroom, two private bedrooms, cable tv, wifi & air conditioning. These units are 18 feet by 50 feet in dimension and will easily sleep 6-8 people. There is no additional charge on a person basis. 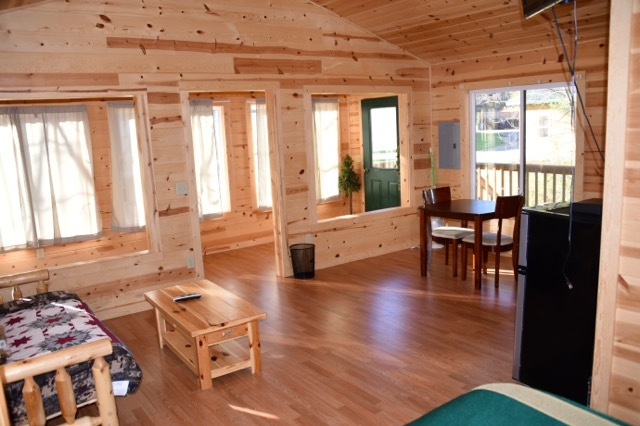 The cost of this plan is $325.00-$375.00 per night & these units include a full kitchen, eating area, large living room, private bathroom, two private bedrooms, cable tv, wifi & air conditioning. These units are 25 feet by 30 feet in dimension and will easily sleep 6-8 people. There is no additional charge on a person basis. 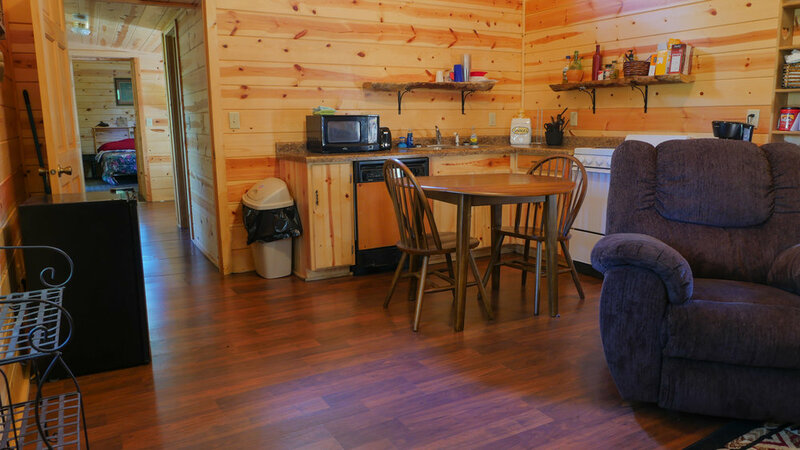 This upcoming summer, our upgraded lodging options will include two newly constructed studio apartments. 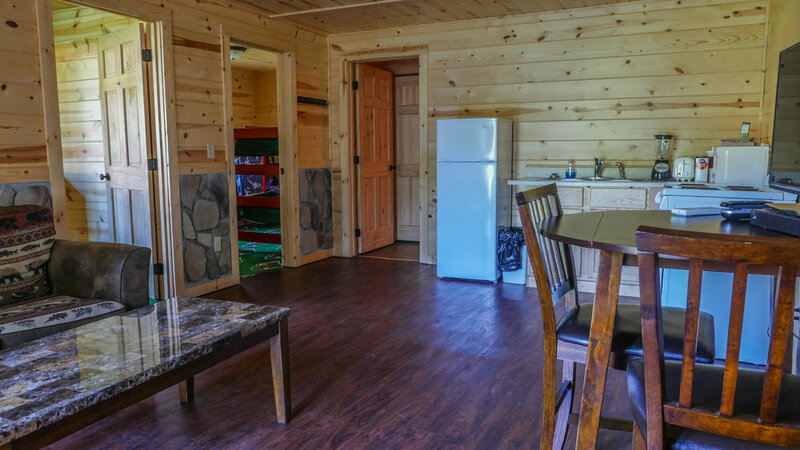 These units are 20 feet x 25 feet in dimension and will feature a sleeping area, living room area, private bathroom, kitchen counter/sink, refrigerator, microwave, cable tv, air conditioning & wifi. The cost of this plan is $175.00 per night. The cost of this plan is $500.00 per night & this home includes a full kitchen, granite counter eating area, living room with a fireplace & Gazebo, loft sleeping area with an office, family room, three private bathrooms, two private bedrooms, screened-in porch, cable tv, wifi, air conditioning, pontoon boat, canoe, kayak, paddle boat, fishing boat and free use of the Heartland Hockey Camp beachfront & Water Toys. We will also provide you with a fishing guide & water ski instructor, upon request, at a cost of $50.00 per hour. This home has 2,800 square feet of livable space. And will easily sleep 8-10 people. There is no additional charge on a person basis. 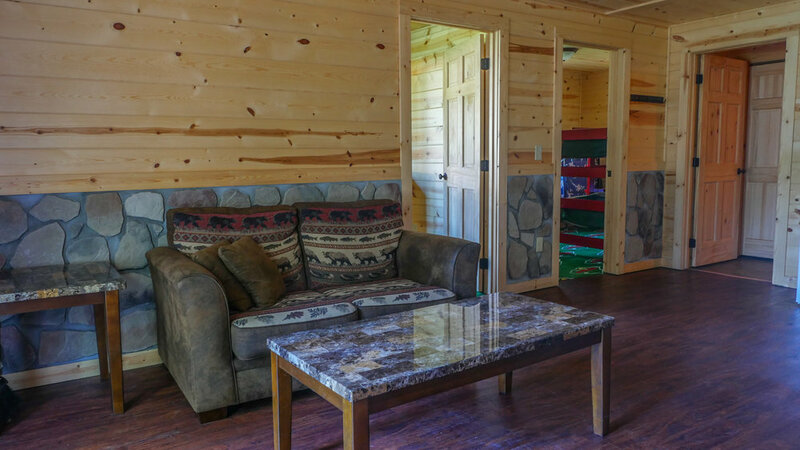 *Please Note: As a bonus, in the event that you select our 3 Bedroom Lakefront Log Cabin Plan, you will receive a 7th night for FREE, valued at $500.00! You must schedule your extra day to be a day early, on Saturday prior to your start day of camp. 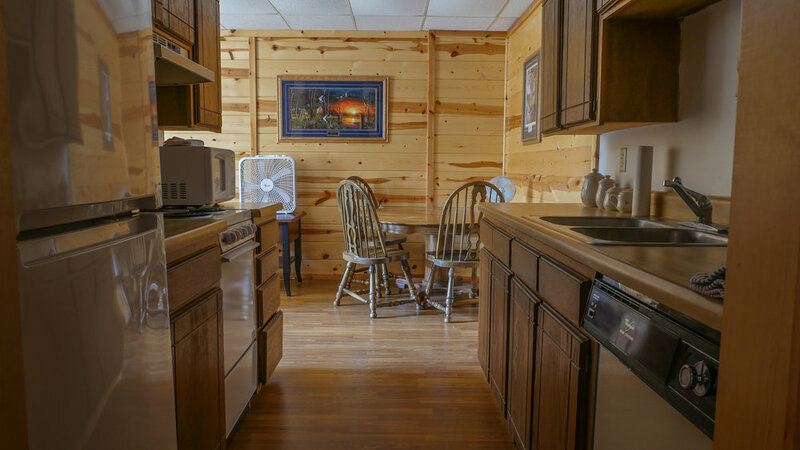 *You may prepare your own meals in your upgraded lodging unit as most of them have a full kitchen with an eating area. You may also choose to select our daily or weekly meal plan. The cost of the daily meal plan for kids in $30.00 per day & $36.00 for adults. The cost of the weekly meal plan for kids is $200.00 & $250.00 for adults. 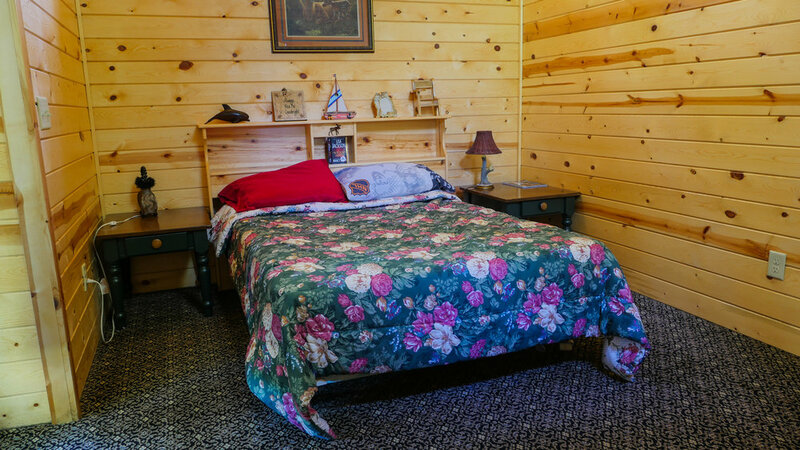 *Parents that select one of our Upgraded Lodging Plans and are interested in skating the entire week with your son/daughter, may do so for a fee of $700.00. The fee to participate in our optional ice only, in the evening is $20.00 per session. The optional ice sessions are $20.00 per session, from 8:30-10:00 p.m., Sunday-Friday. *Private lessons & optional ice time is available to family members not participating in the hockey camp. The fee for private lessons is $100.00 per hour and the lessons are offered on Sunday, from 10:00 a.m.- 10:00 p.m., Saturday, 11:00 a.m.-10:00 p.m. & Monday-Friday, 8:30-10:30 p.m.
*Recreation fee is $100.00 per person for all family members not registered in our hockey camp. This fee includes fishing, boating, swimming, water skiing, kayaking, canoeing, tennis, mini-golf, weight-lifting, biking & use of all of our water toys. We have three full time fishing guides at our camp & our fishing pros will guide you around Portage Lakes on a private fishing excursion. The fee for this camp package is $50.00 per hour. 1) Choose any one hour duration of time, Monday-Friday, between 12:00-4:00 p.m.. The fee for this camp package is $100.00 per hour. 2) Choose any three hours of time and you will receive a 4th hour for FREE. 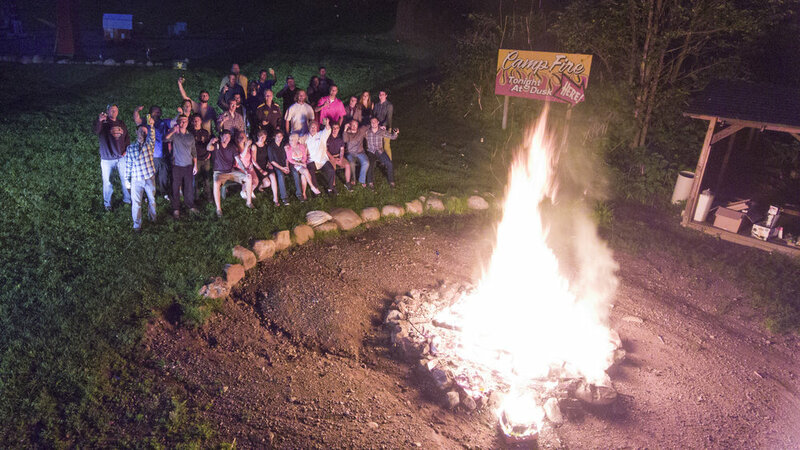 The cost of this camp package is $300.00. For information on availability and booking, please email Steve Jensen.